Ah, the Chevy Cowl. 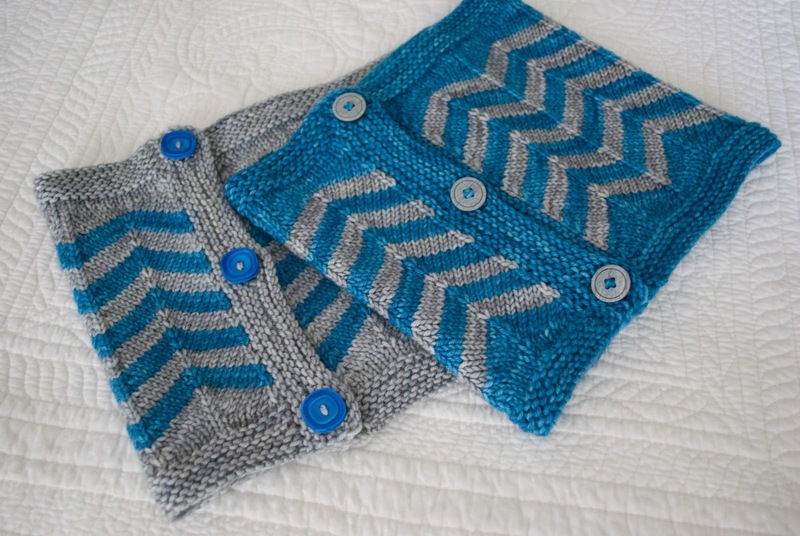 I love love love chevron stitch. 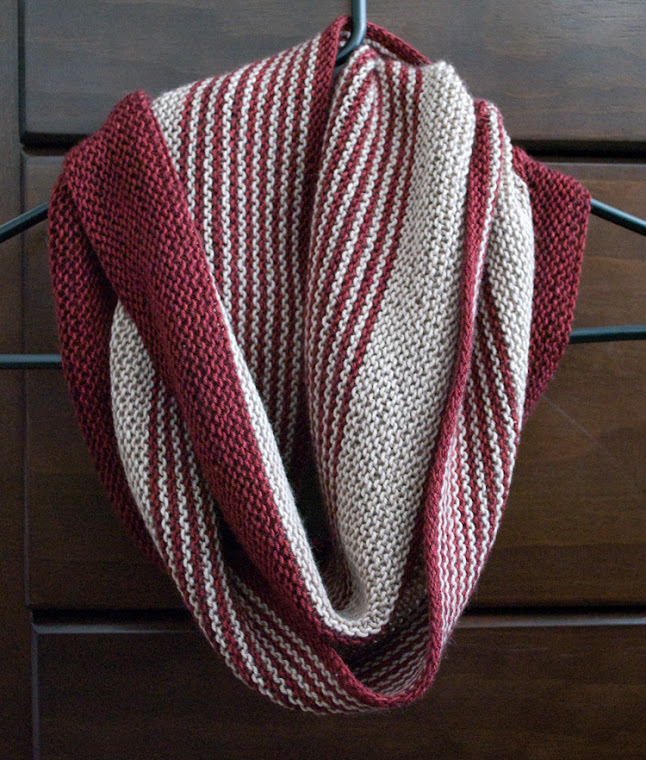 I love how it's more interesting than a plain stripe, and not much more difficult to execute. I love how it looks like you did so much more work to get it to look that way, when really all you did was a couple increases and a centered double decrease. The one thing that I don't love, is how it can pucker the tops and bottoms of the fabric. About 9 months ago, I started a blanket for my baby boy that was to be the pinnacle of my chevroniness (yeah, that's a word....well, now it is) I was loving the colors for him. There was a cream/offwhite, a milk chocolate brown, and a really dark bittersweet chocolate kind of brown. I know, that sounds like a lot of brown, but trust me on this one, it was pretty. I swatched, I fell in love, I did some math and I cast on. 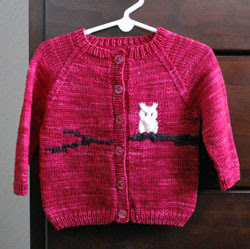 I was happily knitting away on it, with visions of my little man running around the house with his favorite blanket in tow. 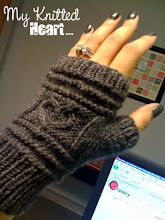 Believe it, it was going to be his favorite, or at least that's what my little knitted heart told me. After maybe 10 rows, I noticed that the bottom edge was looking a little wonky. Now, if it was wool, I could have blocked it out, but this was cotton. Let's be real here, this is a baby we're talking about. Things get messy. I'm under no illusions that it won't be spit up on, spilled on, have food mashed into, and dragged along the floor. I'm not even going to get into the details of what many of us parents call "a blow out". This thing will need better washing than I'm prepared to give a blanket. Into the washer it must go, so the cotton I picked, was perfect. Being cotton, and being that I was intending on throwing it into the washer and dryer with all of their laundry, that bottom edge was really starting to bug me. It wasn't going to get any better, because I was never going to block it. 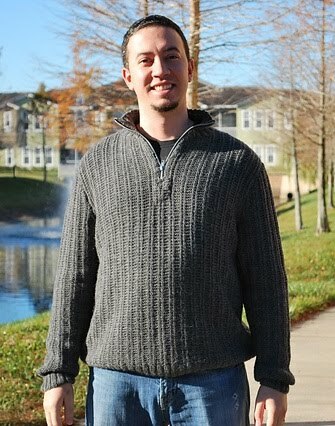 I made myself stop knitting, and just let it be for a few days. When I came back to it, it didn't look any better (as if tiny magical beings come in the night and change the properties of knitting and yarn to accommodate the image you have in your mind). I did what I had to do for my sanity. If I didn't like it now, I was surely not going to like it 10 hours worth of knitting from now, or even later when I bound off. So I pulled the needles out, and ripped the whole thing back. Right now that cotton is sitting with the rest of my stash, just hanging out with the holmies. I guess the bottom edge never stopped bothering me. I didn't realize it at the time, but somewhere deep in the recesses of my mind, I wasn't ready to let it go. One day, completely out of nowhere (and I really mean out of nowhere. I think I was doing dishes), I had a thought. Hey...short rows. 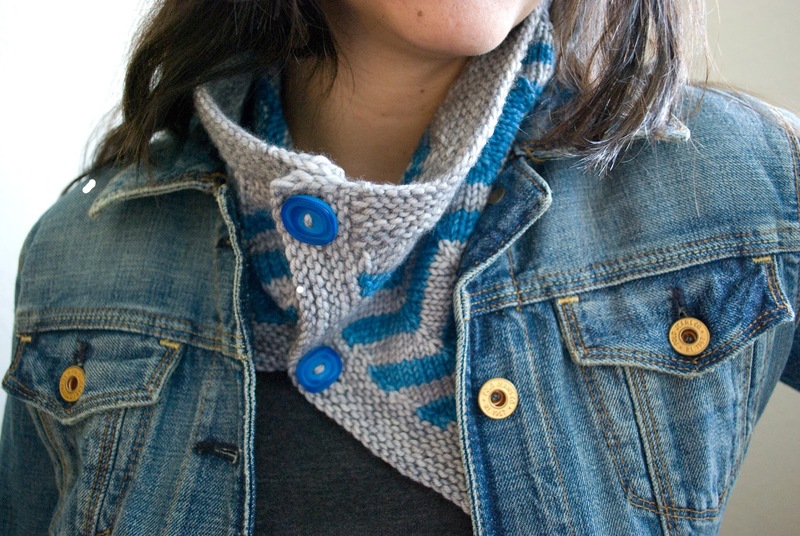 Short rows might do it! That night, I settled onto the couch after the kids were asleep, and swatchity swatch swatch swatchersoned my way through the night until it was time for me to go to bed. It was working, but not exactly the way I wanted. After letting it simmer for a couple more days, I finally figured out why it wasn't working the way I wanted. Some more swatching, then internally cursing myself really really wishing I had written everything down as I did it, some more swatching with notes! and the method to my madness was complete. After all that effort, it seemed a waste to only knit the baby blanket and never share. Surely that puckered edge has tortured another knitter. 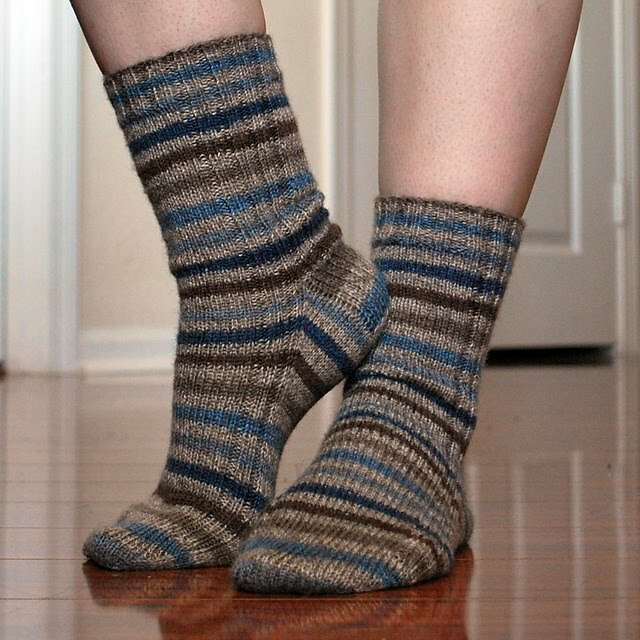 Surely there are other knitters out there that avoid chevron for this reason. Thus, my idea to turn this little nugget of chevron lovin' into an accessory. See that? Awesome bottom edge that doesn't pucker or curl? YAY!!!!!!!!! And yes, that's me in the pictures. It's kinds freaky to see yourself out there like that for the whole world to see. Anyway, here are the details to the pattern. 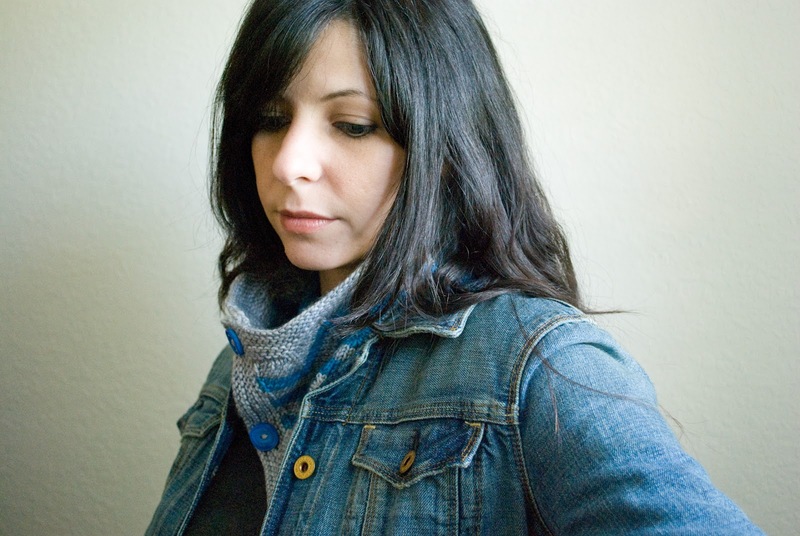 This cowl is worked flat in a worsted weight and comes in two sizes. 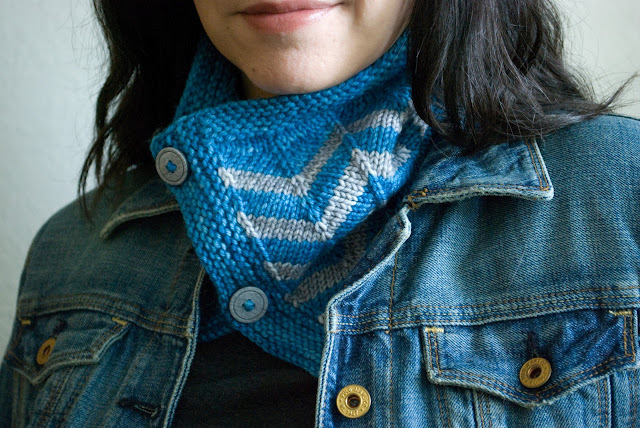 The top and bottom are worked with short rows, to fill in where you’d normally get those peaks and valleys along the edge of anything worked in a chevron pattern. 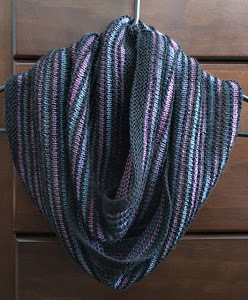 It’s fun & quick to knit, keeps you engaged and looks great when finished. Included in the pattern are links to videos on how to work invisible wraps and turns, and my favorite one row buttonhole.